Measures of breeding success are traditionally derived using the proportion of total nests that successfully reach strategic stages across a breeding season, such as pair formation, egg laying or fledging chicks. The use of logistic regression has recently become a popular tool in avian literature for identifying influential factors that predict nest and/or individual breeding success. 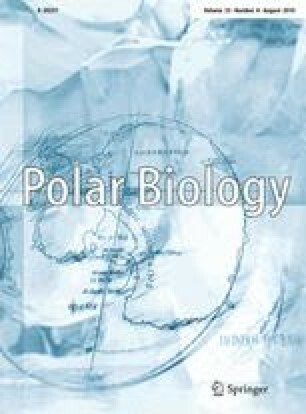 In this study, we use logistic regression models to assess the importance of a range of factors affecting male Adélie penguin (Pygoscelis adeliae) breeding success during the 2002–2003 austral summer, when the presence of icebergs and extensive sea-ice meant overall breeding success of Adélie penguins was low (16/51 focal males had chicks reach fledging point). Logistic regression models for the early breeding season showed that good/average nest quality and central/middle nest location within the sub-colony were the best predictors of successful pair formation. Later, during incubation, the most successful males were those that not only returned earlier but were also heavier upon arrival and built nests of at least average quality. During the final stage when chicks had begun to fledge, the combined parameters of heavier male weight, early arrival time and good nest quality were the best predictors of breeding success. The logistic regression approach used here showed that the predictive ability of these parameters varied as the season progressed. However, most importantly, our logistic models fit the data well across all breeding stages. This study was funded by Auckland University’s Graduate Research Fund, and logistic support was provided by Antarctica New Zealand. We heartily thank K. Parker and D. Curson for assistance in the field. We would also like to thank the two anonymous reviewers for their insightful comments on this manuscript. The study was approved by the University of Auckland Animal Ethics Committee (AEC N905 and AEC/08/2002/R71).